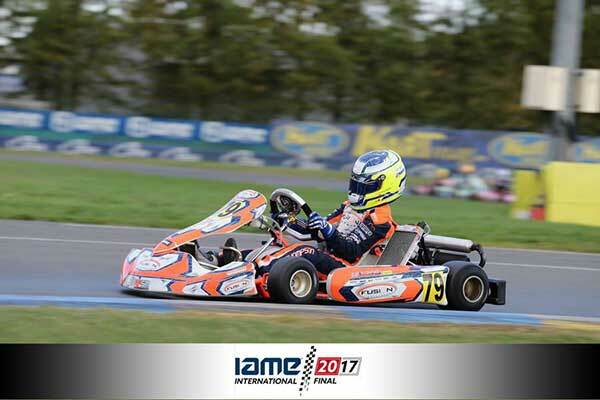 Kip Foster has once again excelled at the IAME International final, this year taking 3rd place in the X30 Master class. 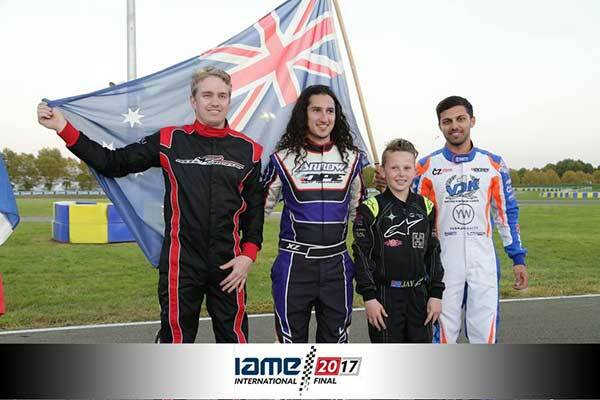 The West Aussie admitted he messed up qualifying (7th fastest), but strong heat results (two wins and a fourth) put him off the front row for the pre-final. A bad start led to a recovery drive back to 3rd. Kip got into the lead early on in the final, and after some trilling dicing with several other drivers, eventually crossed the line third. “We led the race momentarily but our pace was not quite fast enough to lead on a track where the slipstream is worth 2-3 tenths” his son Scott posted on Facebook. Despite some strong showings, the other ‘Team Australia’ drivers didn’t fare quite as well as Kip. 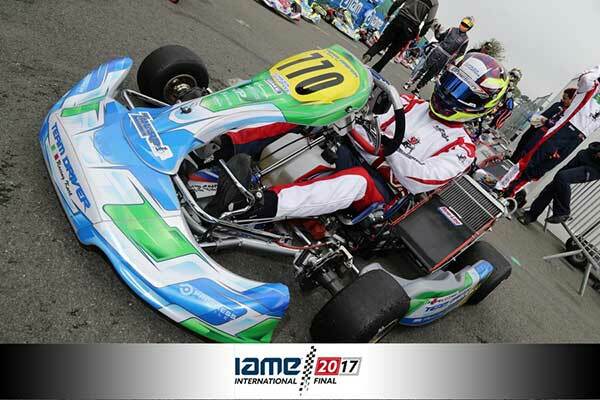 After the Senior X30 heats, Adam Mercer was ranked 48th (out of 144), Justin Francis 55th and Matthew McLean 65th – consequence of a troubled run after qualifying an impressive 5th fastest. All three contested the B Final. Mercer didn’t get to turn a lap, McLean was classified 26th and Francis 12th. In Junior X30, Jay Hanson was ranked 92nd after the heats (of 133 qualifiers) and placed 28th in the C final. 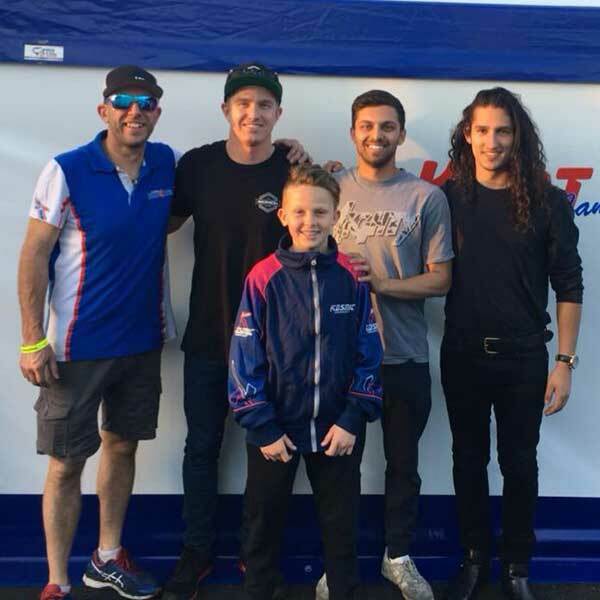 Two other Australians, brothers Lachlan and Jakob Robinson, competed under the UAE banner. 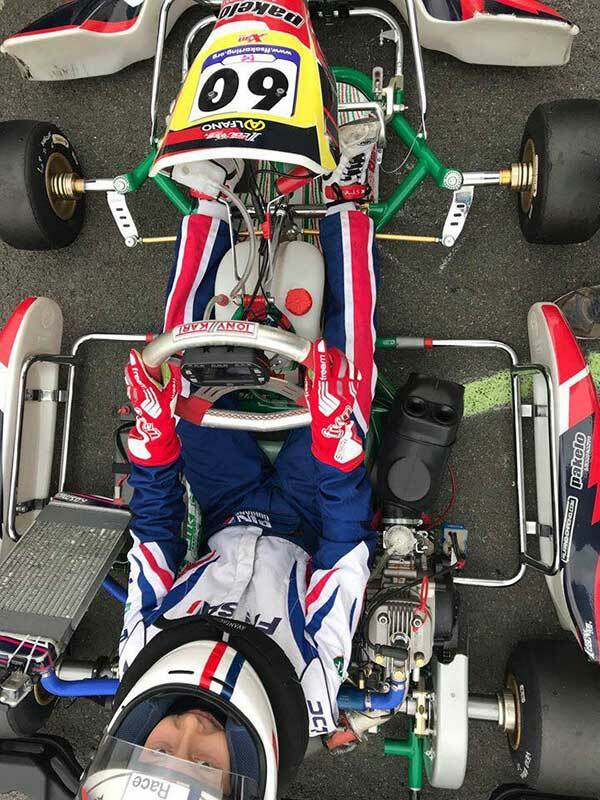 Lachlan qualified fastest in X30 Junior and was 8th after the heats, which included 3 wins, but also a 19th (placed 4th, but received a nosecone penalty). After taking 12th in the pre-final, Lachlan finished the final in 7th place. Jakob was ranked 108th after the Senior X30 heats, thus missing the finals. 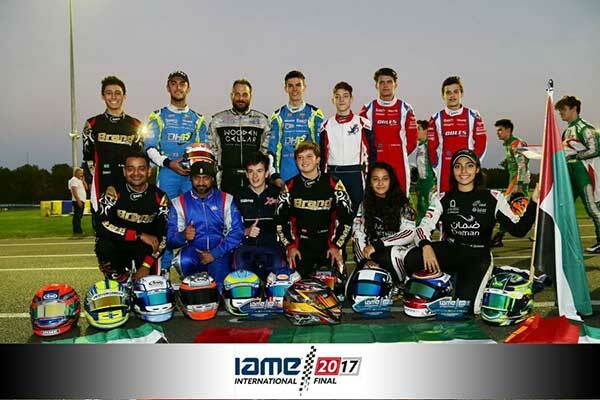 The field for the 2017 IAME International Final was another exceptional one that exceeded all the hopes of the organisers in terms of participation and sporting intensity. 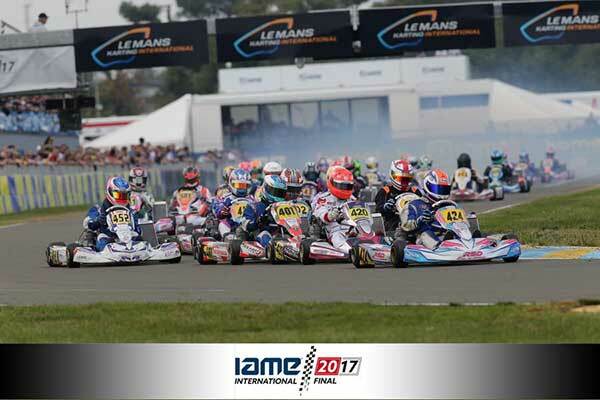 The spectacle on the Karting du Mans circuit confirmed the excellent health of the X30 Challenge, which is so dear to the hearts of the IAME. 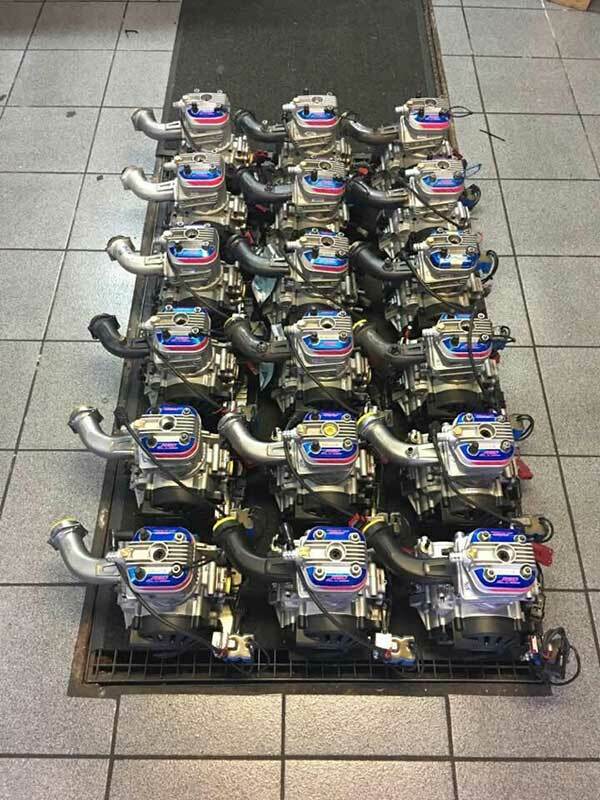 Whether they were there just for the pleasure of a very open competition or had more professional ambitions, the drivers and teams present all found what they wanted. Let’s have a look back at the six suspense-packed finals. Oliver Hodgson finally got the monkey off his back! The British driver was not always very lucky in this international final, but this time he took the chequered flag in first place. His rivals, though, didn’t give him an inch. During the final he found himself involved in a ding-dong battle in a leading group in which no quarter was given. He had to fight like crazy to take first place and then open up a gap. He scored a clear-cut, well-deserved victory. Behind, the battle went down to the wire as five or six drivers were all potential podium finishers. Finally, Briton Dean Macdonald and American Ryan Norberg clinched second and third positions. United Arab Emirates driver Sean Babington led briefly before falling back and saw the chequered flag in sixth place. 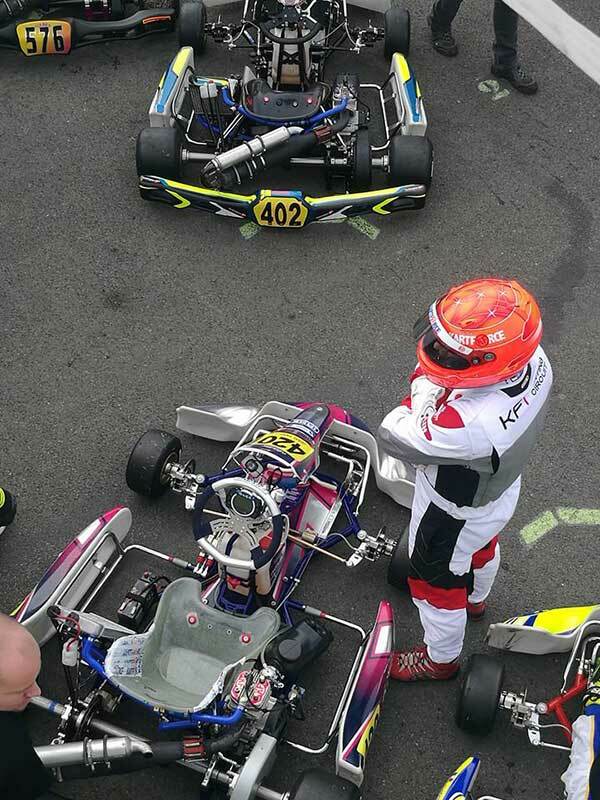 Louie Westover added a lot of excitement to the race and came home fourth in front of English champion Danny Keirle who made a great comeback after his poor showing in qualifying. 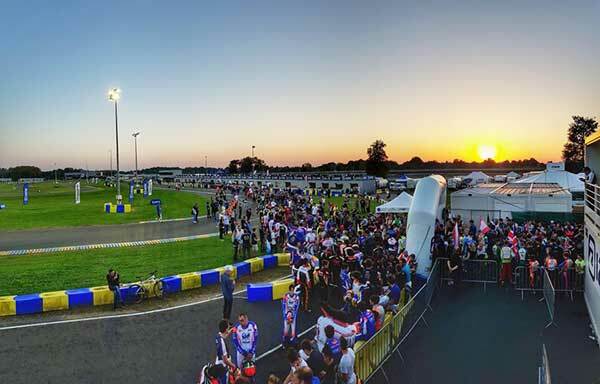 A minute’s silence was observed before the start of the final in homage to Jean-Claude Sanchez, former French kart president, who was among the men behind the organisation of this IAME final. The specialists can go and have a look at the lap chart of the final to see the incredible number of overtaking moves that provided thrills on the Le Mans circuit that’s particularly well suited to the X30 Challenge categories. 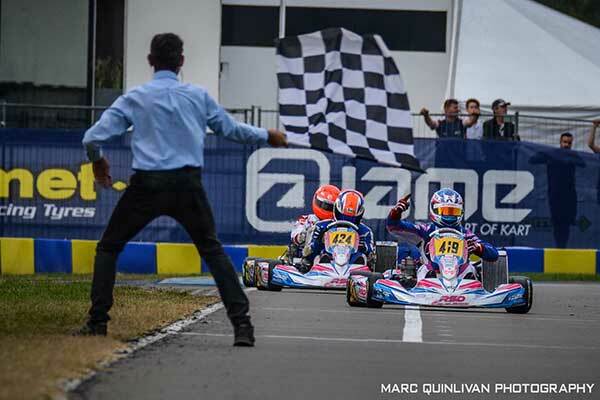 The on-track action underlined the talent of Briton Harry Thompson who took a superb revenge in the Sarthe after aiming for the CIK-FIA world championship title in OK-Junior in September in which he had to make do with third place. But it was far from easy for the leader in qualifying and winner of the pre-final. Just before the half-distance mark he was shunted aside and fell back to fourth. He then patiently fought his way back into the lead as he reeled off the laps. There were many upsets out on the track and after the finish due to several sporting decisions. 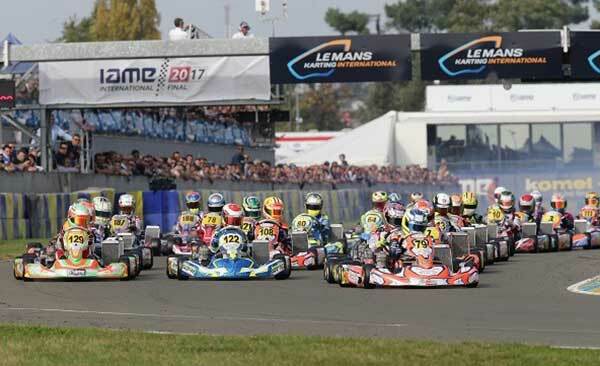 British driver Tyler Read and Frenchman Hadrien David were initially credited with second and third places, but were hit with 10-second penalties and their places in the top 3 went to Englishman Lewis Gilbert and Antoine Potty from Belgium. Frenchman Evann Mallet was in third place for long time before being forced to retire. X30 Master: Jérémy Peclers doubles up! 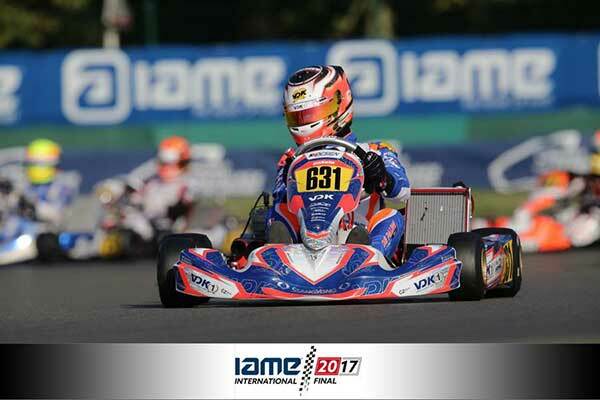 Jérémy Peclers from Belgium put on a stunning comeback after his chaotic performance in the qualifying heats at the end of which he was down in 14th place. 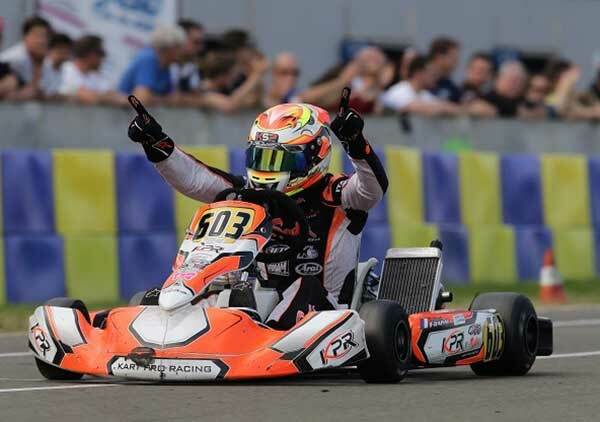 He fought back to sixth in the pre-final won by Frenchman, Wilfrid Lecarpentier. In the final itself he latched on to the leading group and picked off his rivals one by one. Lecarpentier led for several laps before coming under extreme pressure from Australian Kip Foster whom he held off till the very end to clinch second place. Behind these three battle raged and Irishman Gary Turkington finally sealed fourth in front of Patrick Styf from Finland and two drivers who ran briefly in the top 3 early on in the race: Englishman Graham Hill and Nicolas Duchateau from France. Gérard Cavalloni, who topped the time sheets in qualifying, had a difficult end to the event. 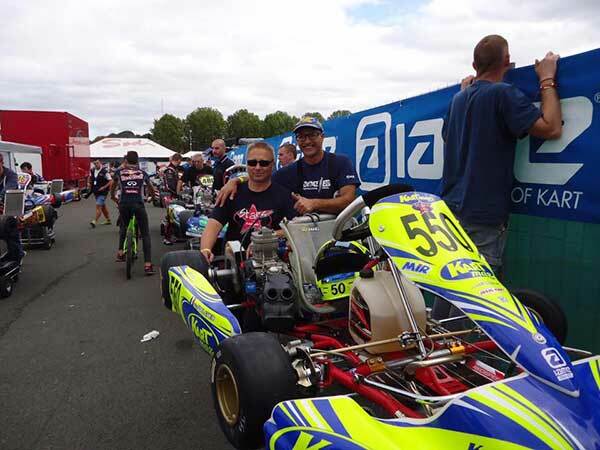 Among the Veterans, Franck Rouxel led from start to finish as in 2016 and won the over-45-year-old category as well as finishing 13th in the middle of the Masters. He took the chequered flag well in front of Hiroyuki Saka from Japan while his main rival, Willy Runget, had to retire. Frenchman Vincent Fraïsse who had already won the X30 Senior event, again put his name on the roll call of victors on this much-coveted race, but this time at the upper level. After finishing down in sixth place in the pre-final Fraïsse played a waiting game and pulled off overtaking moves at the right moment. Another Frenchman Corentin Collignon was the first to fall back when Belgian Ulysse De Pauw retook the lead he had lost at the start. Adrien Renaudin, also from France, began to push and led for a few laps before being engulfed by the field and falling back. The battle for victory in the closing stages boiled down to a scrap between De Pauw, Fraïsse and Kevin Breysse, who had been waiting for the right moment to pounce since the start. 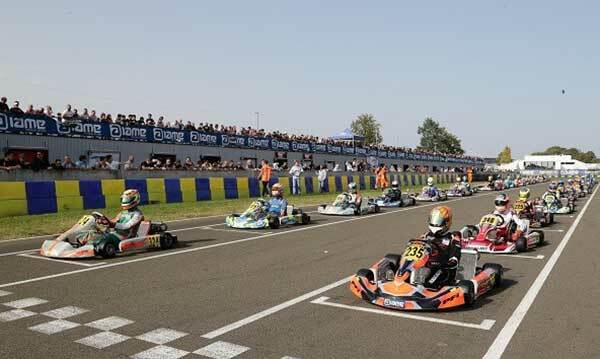 In the final laps Fraïsse got the best out of his kart and won from Breysse who fended off De Pauw till the bitter end. Milan Petelet led the group of pursuers and came home fourth in front of Yann Bouvier. 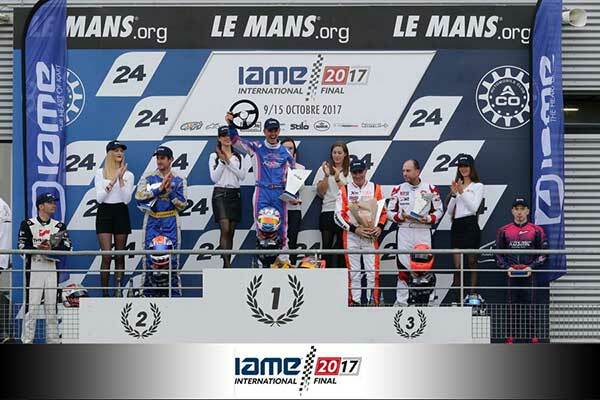 Overall, there were four French drivers in the top five! X30 Super Shifter: Spaniard Cebrian Ariza holds on! The pre-final was marked by a major upset. 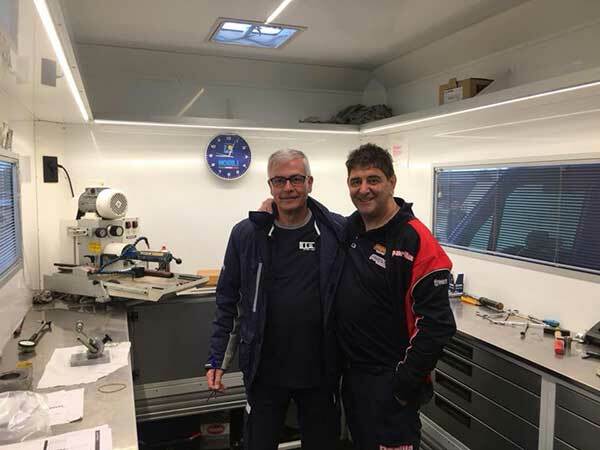 The duel entre Roy Bakker and Alessandro Pellizzari, who finished first and second respectively, led to a double penalty: not respecting the start procedure for the former and anti-sporting behaviour for the latter! So their rivals didn’t need any urging to take the best places at the start of the final. Dutchman Kristof Huibers led first time round, but was overtaken almost immediately by Spaniard Gerard Cebrian Ariza. Huibers’ race ended in retirement. 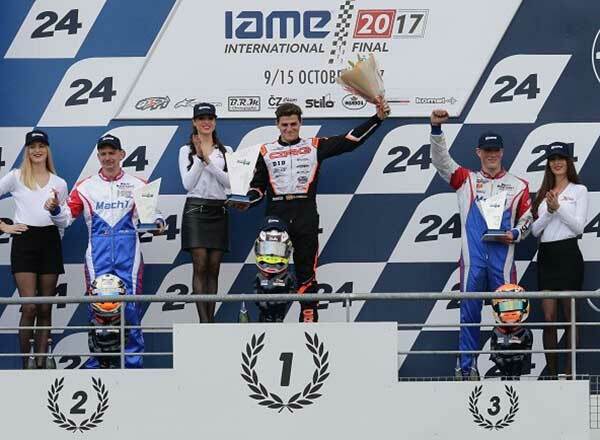 United Arab Emirates driver Tom Bale set off in pursuit of the Spaniard and kept him under extreme pressure, but failed to find a way past on the last lap and Cebrian Ariza headed on to victory. This moved quick, consistent Belgian driver Thierry Delré up a place and he finished on the second step of the podium. Irishman John Norris crossed the line in third spot, but was penalised for jumping the start so Dutchman Mickey Slotman rounded off the top three in front of Bale. The final began with a duel between two Americans Brent Crews, winner of the pre-final, and Ugo Ugochukwu soon joined by Dutchman, Bart Ploeg. After a few laps an incident in the pack led to the deployment of a slow procedure. The leading group reformed at the restart reshuffling the cards after several consecutive overtaking moves. Santiago Trisini, another American, controlled the end of the race perfectly and crossed the line in first place in front of Maximus Mayer from Spain. But in the battle their spoilers suffered and were deemed to be in an illegal position and they each received a five-second penalty gifting the title to Crews! Trisini salvaged second place in front of Patrick Hakala from Estonia. 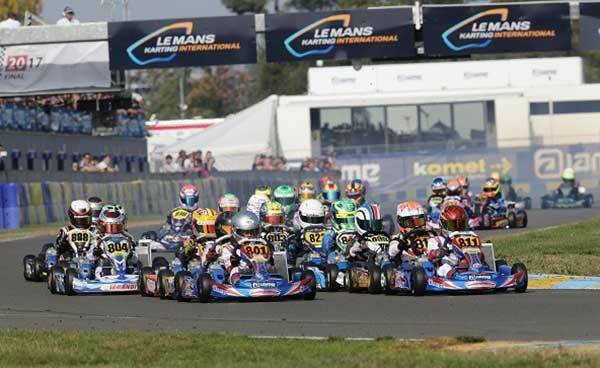 Among the youngest entries (under 10) French driver Jimmy Helias finished sixth behind Dutchman Dani Prins and Michael Sauter from Switzerland. Ugochukwu and Mateo Rubio Luengo came home fourth and fifth before being hit by penalties, which dropped them further down the finishing order.